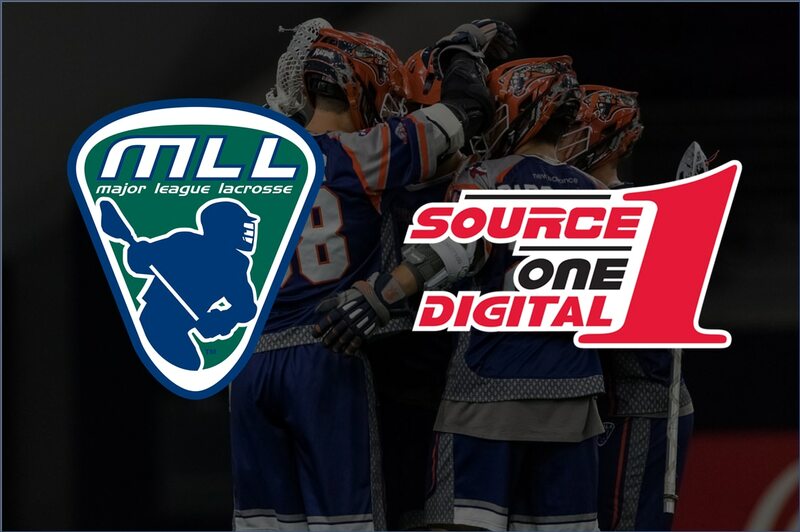 BOSTON (February 11, 2019) - Major League Lacrosse (MLL) announced today a 3-year renewal of their partnership with Source One Digital, as the league's official sign provider. Source One Digital is the Official Signage Provider for MLL and will continue to contribute on a League and team level. This full-service digital printing company, based in Norton Shores, Michigan, is one of the largest and most diverse grand format digital printers in the country. Source One Digital has extensive experience providing custom graphics and sponsor signage for collegiate, semi-pro and professional sports teams and facilities around the country. "Source One Digital is honored to renew our partnership as the official sign provider for Major League Lacrosse. We have established valuable relationships with the league and directly with the teams,” said Source One Digital CEO Randy Crow. “It’s very exciting to help promote the energy of each team while providing dynamic signage and graphics that go into all branding and sponsorship campaigns. Our team here at Source One Digital is proud to be a graphics partner the League can truly rely on when it counts the most. The MLL brand is our priority!" The 2019 season marks Source One Digital’s fourth year as an MLL partner. Some of their products include vinyl and mesh banners, backlit graphics, pressure sensitive adhesive vinyl decals, fabric banners, rigid substrates, custom awards, and even promotional products. The 2019 MLL season will kick off Friday, May 31. Tickets for the season opener and all regular season games are on sale through each of MLL's nine teams' websites.